I picked up this one a while back, just getting around to finishing stripping it down and getting ready to build it back up. It was in rough shape when I bought it, minus the trailer for say $250, I paid $190 for the ski, it changed hands a few times but never got completed and on the water, registration shows 2014. Missing a battery, but everything is there, well almost everything, it was missing the rear trim insert piece and I had the PO knock another $60 off because of it. Which I was about right, I ended up paying $70 for this piece. The hull is in fair shape, serious weathering, the seat wasn't salvageable, the top is badly yellowed and banged up in the foot wells. The rails were badly burned from the sun, black and chalky. Before I take them off I spent some time sanding and polishing them, they came out nice. Jet pump is locked, I haven't torn it apart yet. The engine looks original, but appears to need a rebuild. RV cover out of spec, .020 clearance so I'll need to get that machined. The LCD gauge was totally cooked, black, I removed it and repaired the face with an LCD film kit off ebay. Few parts I picked up, a seat for $80 shipped, got lucky, great shape, came off a 99' gsxl. Also, picked up a speedometer sensor, compass, and ambient air temp, all hook right up to the info gauge. VTS looks ok, but I have no way of checking it at the moment. Fuel pick up is trashed, float doesn't float, I tried to fix it thinking an F1 problem, but no, it has a break in continuity on one of the poles, I've hacked it in 3 places and now I'm throwing in the towel. I need a another one. I cut the mats out and die grinded the rivets down, cleaned with acetone, then filled with marine tex. Once I sand then apply gelcoat it'll be completely unnoticeable. I've got the first layer of grime out the bottom of the ski, once I roughly prep the top I'll flip it and focus on the bottom. Shouldn't be bad on the bottom, I'm not changing colors like the GTX, just smoothing / polishing and maybe re gelcoating down the keel area. The top will definitely get fresh white gelcoat, it needs it after 22 years. I have the same model. Can you tell me what part numbers for the speedometer sensor, ambient air temp, and compass. Also, do you have a pic of how/where you mounted the speedometer sensor? You'll need to remove that dummy plate in the rear, the speed sensor drops right in. I'm a longs ways off to installing/wiring it in, but it plugs in at the info gauge and there's a red/blk wire you ground off the gauge in the mpem to activate it. I don't have part numbers, I bought everything off ebay. Search the 96' and up GTX's, you're looking for the 3 wire speed sensor. People are proud of them, used it is tough to find one under $50, even broken, but be patience and a good one will eventually show up for the right price. Get one with the plug and hull nut to make it easy. You'll pick up lake temp also on the 3 wire sensor, that's the 3rd wire. The compass and ambient temp plug right in, each less than $10 shipped all day on ebay, again, 96' and up GTX. Thanks, I’ll begin my search. Update: Got it completely stripped except the ride plate, hull plate and drain plugs. Rub rails are removed now that I restored them to like new and ready to re install when the time comes, lots of sanding and polishing. I did a 3rd cleaning of the inside the hull, it was pretty nasty. I die grinded all the rivets in the foot wells, filled with marine tex and did a rough sanding of the top side and smoothed everything out. I'm ready to flip it and work on the bottom, the keel area will probably get some new blue gelcoat. My patience payed off, found a seat from a 99 GSXL for $80 shipped, in surprisingly excellent shape. Good so far. Keep it up! It's a shame people don't take care of their jetskis... this one looks really abused (nice project tho').. My '96 GTX still looks new. I know it's not on your next to-do list but I replaced all my worn out mats with ones from Hydro Turf... very happy with them... made the ski look showroom condition. Good luck woth your project... will be following your posts. Hydro Turf mats are on the agenda, I put them on my 97' GTX project and love them. I'm picky about the appearance and focus a lot of attention in that area. I'm prepping the bottom for gelcoat at the moment, updated pics coming soon. Not as much work as the GTX, but still a lot of work on this one. I wish Hyro Turf still carried the blue/wht two tone, but I'm looking at the blue camo. I went with the blk/gray two tone on the GTX, goal on that one was to get away from green anywhere on the ski. On the GSX, it'll be getting away from the yellow. Are you missing the green cowl cover over the instruments. I have one in great shape with nice decal. His is there, it’s just painted to match. I was referring to the 96 GSX at the beginning of your thread? I have it, I had taken the gauges out and the MPEM shortly before I snapped the pic. You threw me off saying green cowl cover.. The gelcoat is horrible on this ski, the entire keel down the middle was down to the bare fiberglass, nice gouges, other areas just off center wouldn't clean up. It needed some fresh gelcoating work, matching colors is tough on this blue with it now discontinued. I didn't want to do the entire bottom like I did on the GTX, so I did the best I could and coated the center with a medium blue gelcoat. Shoulda went darker, but it won't be seen in the water. After much sanding on it, it's coming together, one more pass with 1500-2000 grit and another polish and I'm done. Afterward I need to reseal the ride plate, grate, hull plate and other items to the bottom hull. Then I need to flip this thing and work the gelcoat on the top side which I'm already done filling the rivet holes and much of the rough sanding prepping for gelcoat. This past weekend I finally finished the bottom, this is as good as it's going to get, final sand 2000 grit, then 3M products, polish, glaze and wax. With my caulking gun I used a tube of black silicon from Home Depot to reseal the hull plate, wedge, front tie down, drain plugs and ride plate. Now on to the topside, hoping to re gelcoat and be sanding within the next couple weeks. Topside prep is almost done, just about got all the old dead 23 yr old white gelcoat sanded out. Goal is to get all brownish areas sanded out and repair the roughed up areas. This GSX was pretty bad, definitely cooked from the sun, the white is no longer white, sanding brings some of it back, but it needs a fresh coat. Marine Tex has served me well to fix any small gouges and imperfections on the hull. Shelf life is about 4 months on gelcoat at room temp. My gallon of white arrived this weekend. Look under the ski at it. It should be 6 phillips head screws, least mine was that way. Is yours different? I'll try and get a pic of the red/blk wire in the next couple days. 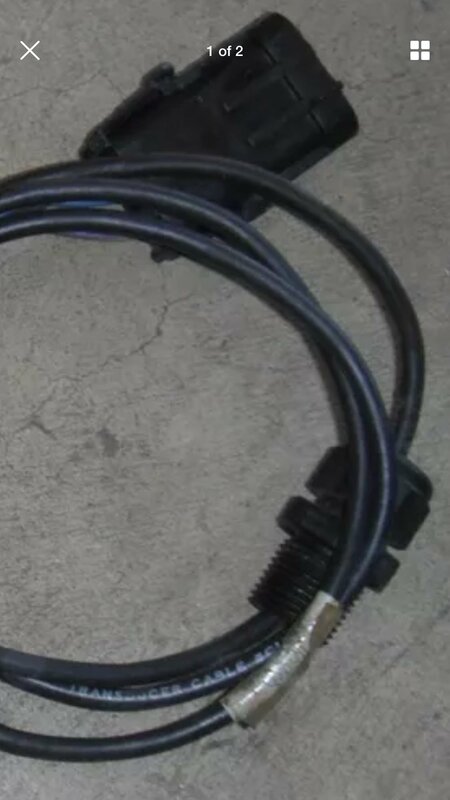 Look carefully at the wiring schematics of a 96'- 97' GTX, it's a good guide to apply to the 96' - 97' GSX. That red/blk line needs a good ground, I verified on my 97' GTX it's attached to a grounding point inside the grey box/MPEM. I still got a ways to go before I get into this with hooking up gauges and all. Oh yeah I know what dummy plate you’re referring to, it’s there. What I meant to ask was the threaded portion by the jet pump, do you just drill it out to allow the speedometer wiring to pass through as you thread the nut into it? That's what I intend to do, drill it out. Looks like Seadoo used the same 140mm hull plate on some models just molded it accordingly with features equipped. Such as my 97'GTX has the VTS pass thru sealed, but our 96's GSX's have the speed o sensor sealed. Update: I've applied the topside gelcoat, the weather here in AL was a little cool early Sunday as the temps were from 59 - 70 throughout the day. Before lunch it was drying slow, I'd say below 60 is good cut off to not apply. But it warmed up and it was drying within 30 minutes as the temp got over 65. I split the ski when applying, so a pint at a time, let it dry, then hit the other side. From doing the GTX last year, I've found the sweet spot to be about 3 coats when rolling it on to leave enough to sand smooth. I went through 7 roller brushes and 7 plastic pans, you can't reuse anything, it's brutal stuff to mess with, the clock starts when you add the MEKP, you've got about 10 minutes to lay it down. So on topside gelcoat on the GSX hull, I'd say about 8-10 hours of prep, rough sand, minor repair, etc. Then about 6 hours of mix, apply, wait, repeat of rolling on the gelcoat. Now the dreaded sanding to follow, I'll break it up over the next month or so, 4-5 hrs a day on the weekends. I'll get there, probably 30-40 hours of sanding lies ahead. The cosmetics is where the time is, I knew that when I got it, but it's the most rewarding part. I split the ski when applying, so a pint at a time, let it dry, then do hit the other side. From doing the GTX last year, I've found the sweet spot to be about 3 coats when rolling it on to leave enough to sand smooth. I went through 7 roller brushes and 7 plastic pans, you can't reuse anything, it's brutal stuff to mess with, the clock starts when you add the MEKP, you've got about 10 minutes to lay it down. Hmm. You roll it instead of spraying? Yes, more manageable to apply but a little more sanding afterward is the trade off. I didn't want to spray it in my garage, clean up is more involving, paint gun would need a larger tip and so forth. Rolling it on I just trash the roller and plastic pan and I'm done.